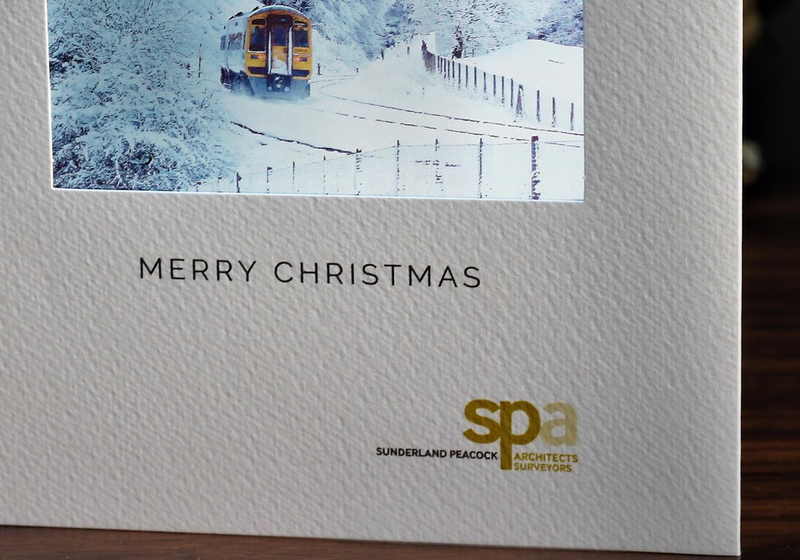 These cards are for an architect whose partner is a very keen photographer and a passion for trains. We used their company logo and personal wording. Adding some detail on the inside under the photo about the photo and who had taken it. 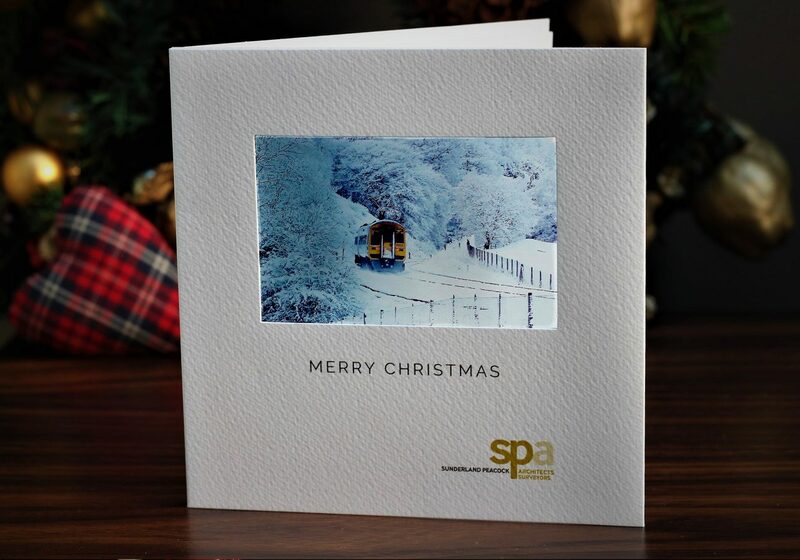 Just tell us you like the ‘SPA christmas card’ if you would like to use any design details from this example.